Video Poker: modernized - with Black Label Poker! 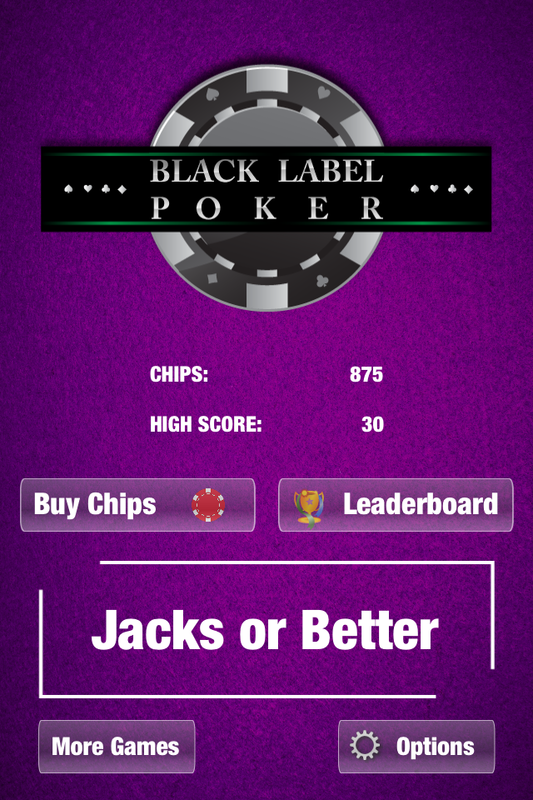 Black Label Poker is the best way to play Video Poker on your mobile device. Simply, load the application and play to win! It’s the fun, addictive game - without the suit and tie. Black Label Poker, like any game of Poker, requires credits to play; in the form of Chips - however, these chips are much less expensive than conventional casino chips meaning that you can play for longer; for less and unlike Poker, Video Poker uses skill - rather than depending on luck! Buy Chips with an in-game purchase, meaning that you never have to leave the game! Play the ‘Jacks or Better’ Video Poker game; in this game you must have a pair of Jacks or better to win... just as the name suggests! It’s remarkably easy to learn and extremely fun to play. 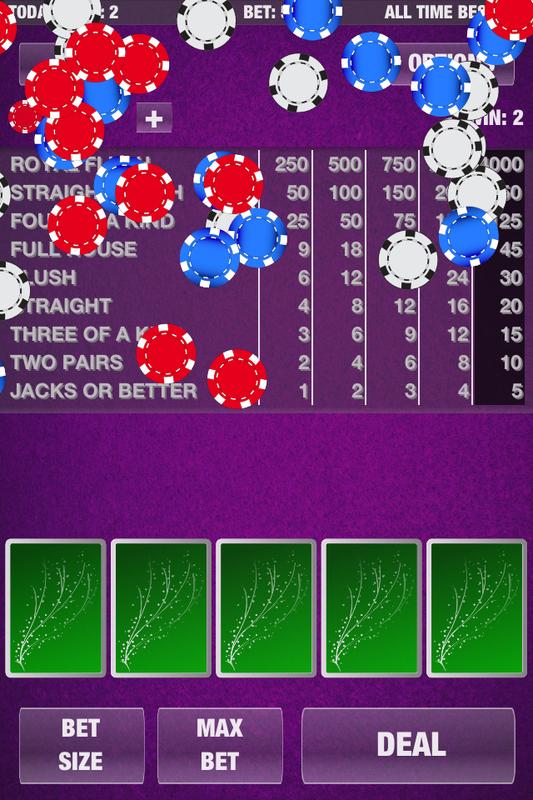 Wager your chips wisely and add more if you feel confident. Then you will be handed your selection of cards. Afterwards, you must choose which cards you would like to keep and which you would like to discard. Discard all 5 and receive a new round of cards! When you are happy with your cards, you can ‘cash’ them in for the winnings - or keep playing to score higher! It’s the addictive, skillful game - re-imagined for the 21st century! Max out your bet to win big, or pick your bet sizes tactically - in this innovative new video Poker game. Deal and Draw your cards, and Hold cards - just like playing in real life. The classic game from the 70s is back on your mobile device and better than ever. 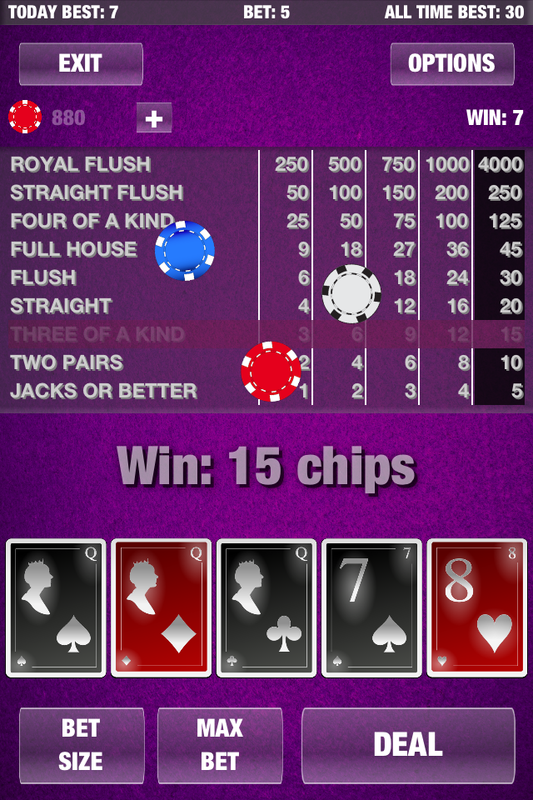 Cards will be dealt from the deck of 52 cards, and your odds of winning are reasonably high! 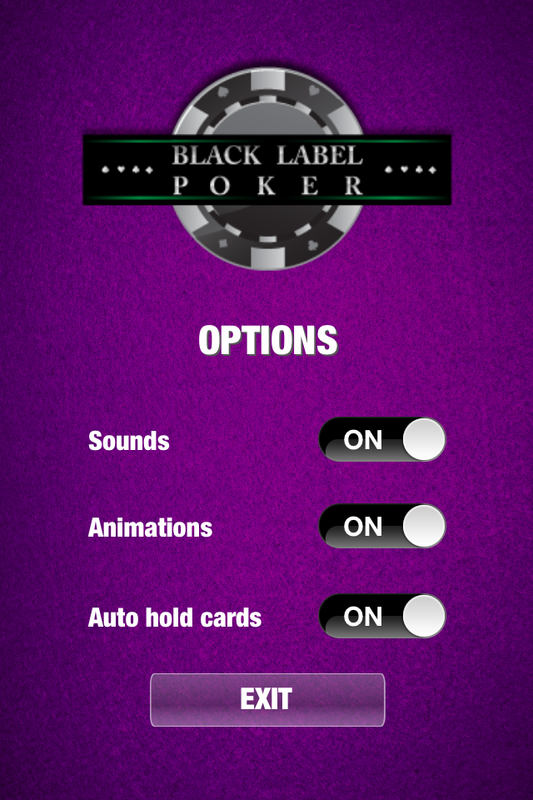 Now you can experience the excitement of Video Poker - from your sofa, garden or just anywhere in the world - with Black Label Poker!